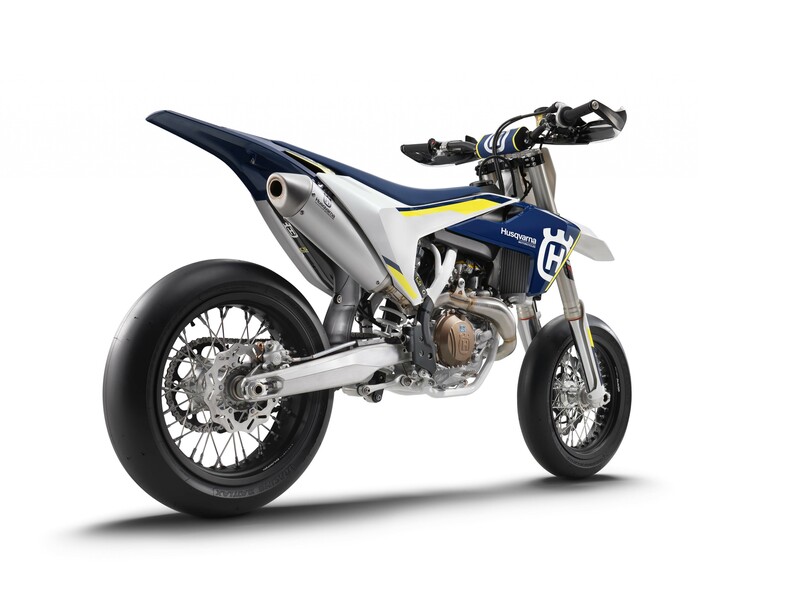 The Husqvarna brand will continue with its FS 450 offering for the 2016 model year, though you would be wrong to confuse the 2016 bike with its predecessor. 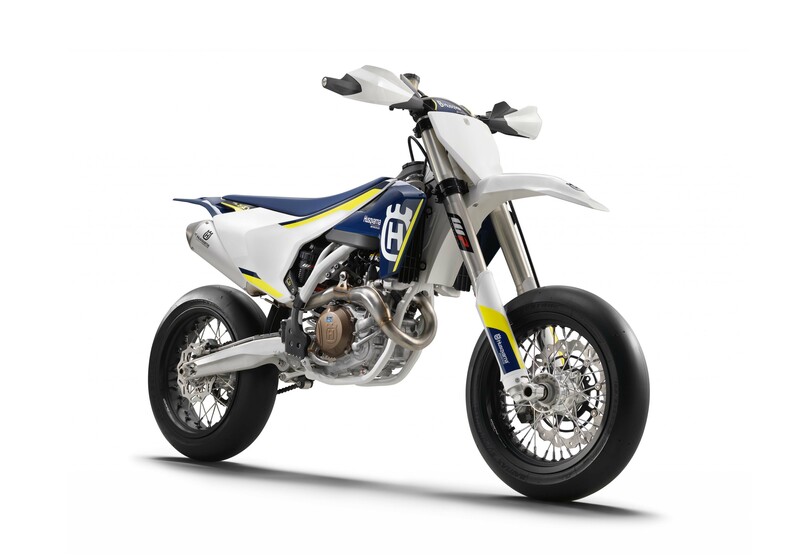 Trimming the fat off the 2015 model, it is clear that Husqvarna looked for ways to make the FS 450 even lighter than before, for 2016, and the Swedish brand look successful in that endeavor, with a 232 lbs machine (sans fuel). To hit that target weight and other benchmarks, the 2016 Husqvarna FS 450 needed a new chromium molybdenum steel frame, a potent 63hp, 450cc, SOHC, engine, and a bucket of weight-saving items. Our press release says the new FS 450 will be out in dealers in September of this year, but we take that to surely mean European showrooms, not American. 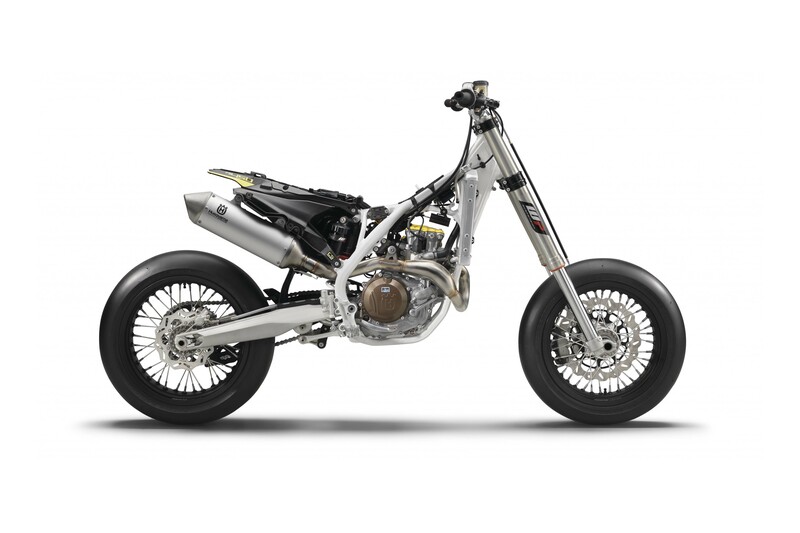 We hope this bike will come the USA though, as it sounds like two wheels of hoon for sumo enthusiasts, and a lighter option than the Husqvarna 701 Supermoto. Husqvarna says the new frame designs improves handling, and helping matters further, the 2016 Husqvarna FS 450 will be wearing new WP suspension pieces, which are 380 grams lighter than the previous model’s. The rear subframe is also shorter and lighter, with 30% of its three-piece construction being made from carbon fiber composite. This shaves 1 kg off the 2015 model, for a total weight of 1.4 kg. The swingarm is also lighter, with 250 grams shaved from its mass, while maintaining the same structural integrity and reliability. Even the engine is 1.8 kg lighter than before. More importantly, the engine is also physically smaller, with dimensions that are 23mm shorter, 23mm narrower, and 9mm lower. We think that Husky fans will be impressed that the big single-cylinder thumper weighs 27.8 kg…four pounds lighter than the old 450cc lump. The crankshaft has 10% more inertia, and has been positioned 9mm backwards and 7mm higher than before. The new crankcases are now significantly more compact and lighter. 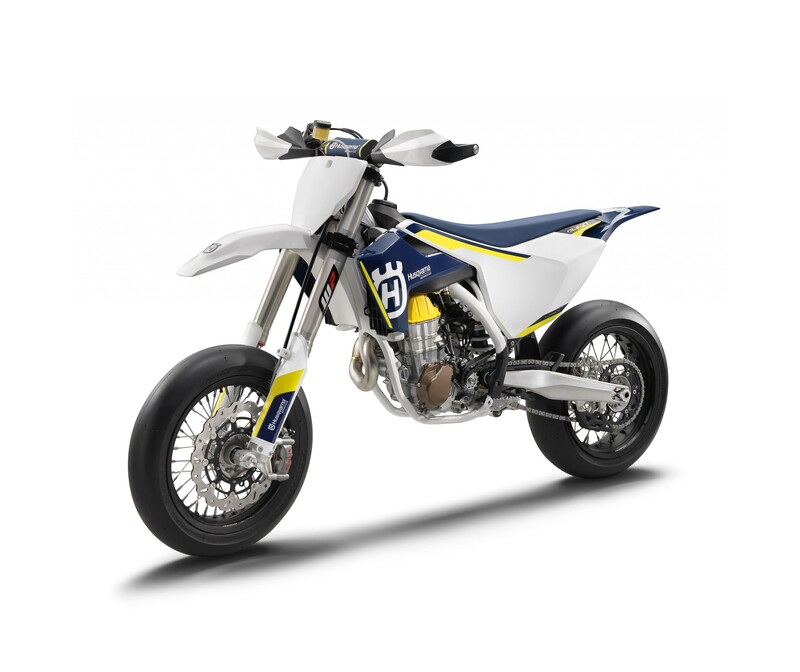 The gearbox is still a five-speed unit, but Husqvarna has made it 8mm narrower and removed 350 grams from last year’s model. Featuring an Adler Power Torque Clutch (APTC) slipper clutch, riders should have no problem sliding the Alpina-laced wheels – 16.5″ in front and 17″ in the rear. On the electronics side, the the new Keihin Engine Management System (EMS) is smaller, lighter and faster. It also allows for the Husqvarna FS 450 to now be outfitted with a handlebar map switch, launch control, and a function that limits the amount of power to the rear wheel for approximately two seconds – don’t call it traction control though, wink wink nudge nudge.